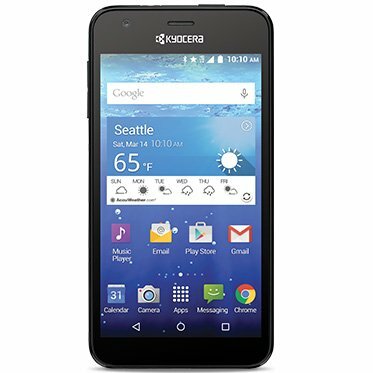 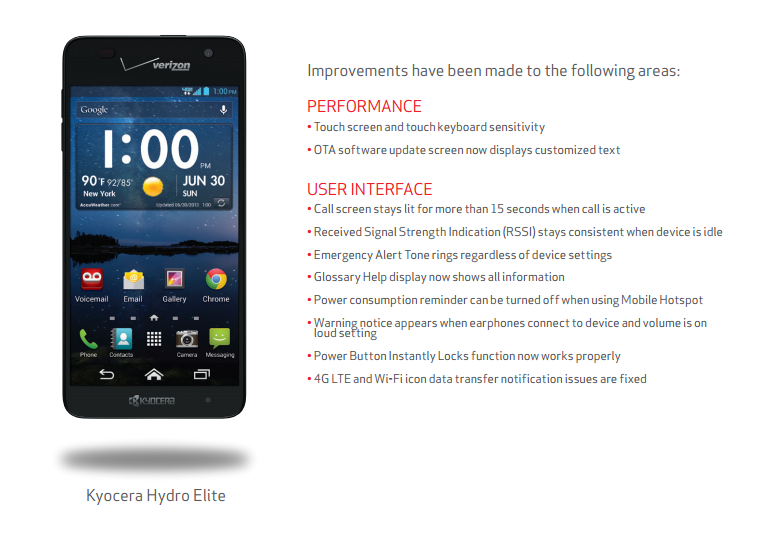 Both of these hold true for the Kyocera Hydro Wave, which is now available from T-Mobile and on its way to MetroPCS. 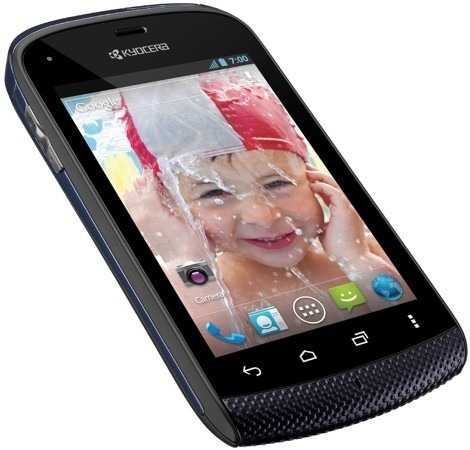 The Kyocera Hydro Elite may not be a top-of-the-line device, but it comes with something most phones don't - water resistance. It also packs 4.3-inch display and a 1.5GHz dual-core processor, making it an admirable midrange handset. 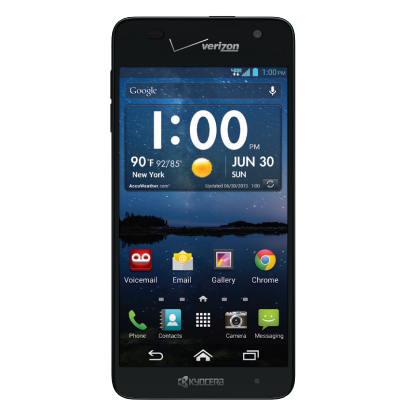 Now Verizon is distributing the first OTA for the phone, and while the Android version number remains the same, this update impacts many areas of the device. 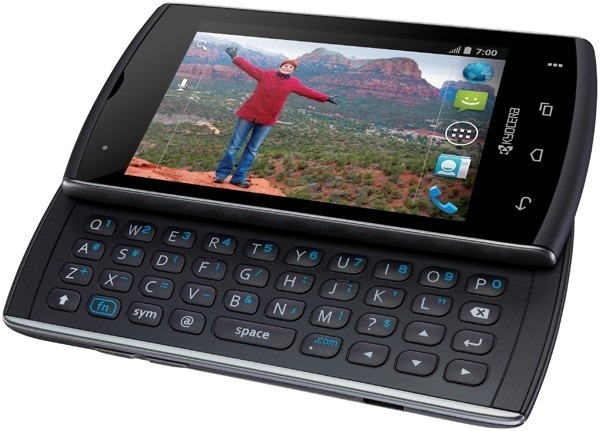 The touch screen's sensitivity has been adjusted, including the virtual keyboard, and the call screen now stays lit for over 15 seconds when active.